throughmyeyes4893https://throughmyeyes4893.wordpress.comI am a Christian who is striving to be a better person every day. 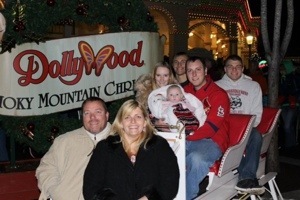 I love my family and spending time with them is a priority in my life. 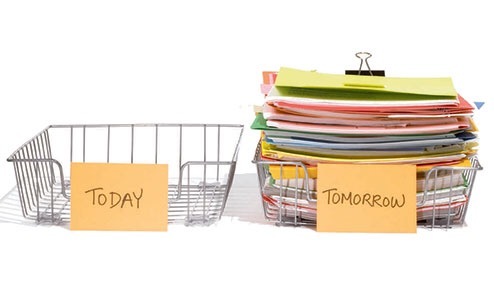 Procrastination–we’ve all done it. You have that thing that needs to get done, but there’s this other thing that you would rather be doing. Or, if you’re like me, you are FINALLY working on that thing and then you go to another room and BAM! Now you’re distracted and forgot all about said thing you were supposed to be doing. 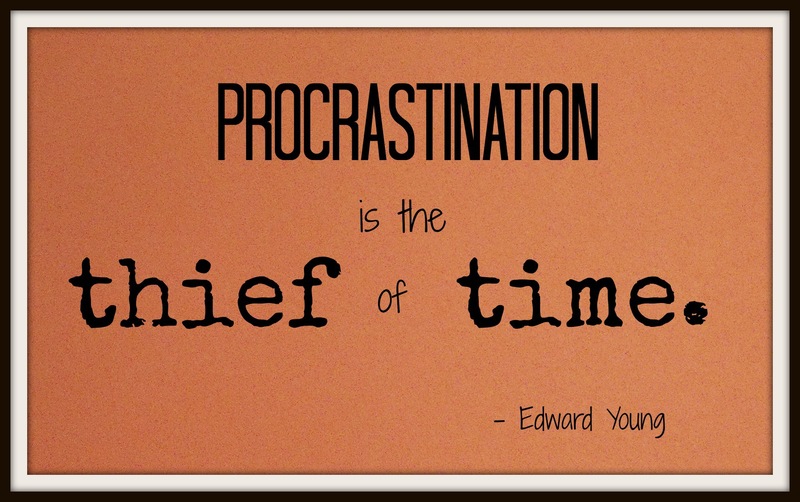 There are all kinds of sayings out there about procrastination. 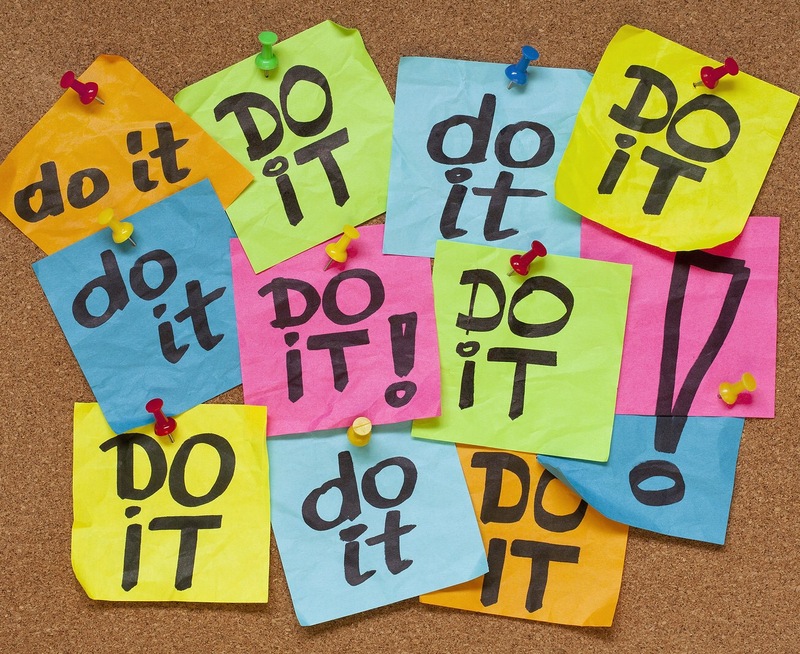 Google the word and click on images and your page will be FILLED with funny sayings or pictures like these about procrastination. Do you know what that tells me? This is a widespread problem. This is definitely the story of my life at times. What kinds of things do I procrastinate about? Anything and everything! I like to consider myself as being “Organized. A good multi-tasker. Works well without supervision.” Yeah, those kinds of things you would put on a resume. But in reality, I’m not always like that. I procrastinate about housework, actual work, working on a budget, filling out taxes, working out, making phone calls…pretty much anything that you can put off I have at one time or another. But WHY? I heard a saying a long time ago called “swallow the frog”. 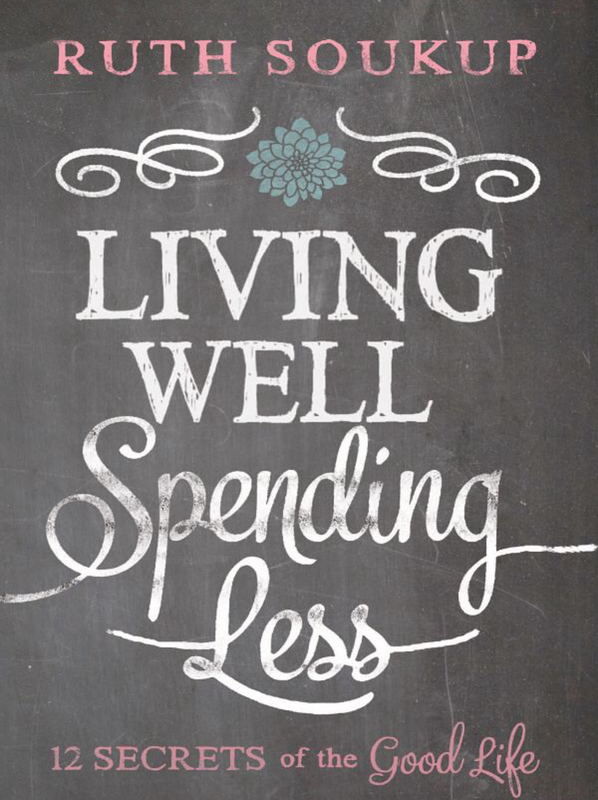 I also recently read something very similar in the book Living Well, Spending Less: 12 Secrets of the Good Life . In Part 1, Secret #5, the Author writes how we should start with the task that we don’t want to do or is the hardest. Then, once that’s out of the way the rest of the day should flow much easier. It makes sense–it’s just hard to put it into practice. Most people like the “mini accomplishments” of checking off those 20 other things that are on the To-Do list because all those checks for the little quick things look so cute on your paper. But what happens is you do all the little quick things and when it’s time to do the thing you dread, you start making excuses….”Oh look! It’s lunchtime.”; “I need a break.”; “Someone just came in my office, I need to get back to that.” And SO many others. Then, by the time you realize it, the day is GONE! Proverbs 13:4 (HCSB) The slacker craves, yet has nothing, but the diligent is fully satisfied. So, I’m hoping to start putting into practice doing the big stuff first. It’s not going to be easy and it certainly won’t be fun, but instead of dreading it all day I will get it over and then look forward to the rest of my day. That gets that weight off your shoulders early instead of you having to carry it all day. It’s like carrying a backpack with a BIG rock and a bunch of feathers in it. You can take out the feathers one at a time when you do the small tasks and continue to carry the rock around all day. Or, you can take the rock out first and only have to carry the feathers! I know which sounds better to me. 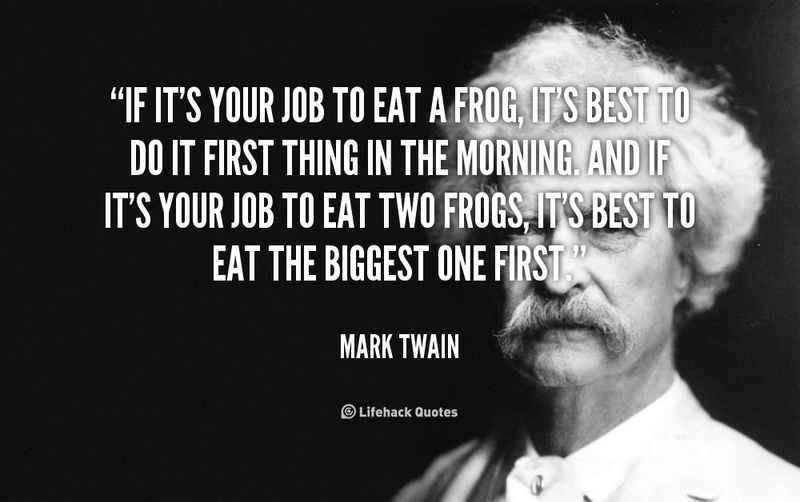 I hope you will be encouraged to “swallow the frog” and join me in eliminating procrastination from your vocabulary! Now, let’s get started…… tomorrow TODAY! Have you ever heard the saying “God won’t give you more than you can handle.”? Or what about “I know God won’t give me more than I can handle. I just wish He didn’t trust me so much.” Yeah, they’ve pretty much been thrown around for ages. I have also heard people say that phrase is “somewhere in the Bible”, but I promise you it isn’t. Neither are a lot of other “Christian” sayings. I admit, I used to say them too–especially when someone I knew was going through extreme hardship or heartache. But this is one I definitely don’t say anymore. You know why? Because it’s NOT TRUE! Now, before you start throwing tomatoes at me and blowing up my news feed to tell me how wrong I am, listen to this. A few years ago I read something (I wish I remembered where because I would link to it.) that put it this way (my paraphrase & emphasis)–“God will ALWAYS give you more than YOU can handle. He will NEVER give you more than HE can handle.” Basically, God is the One who knows what we need. 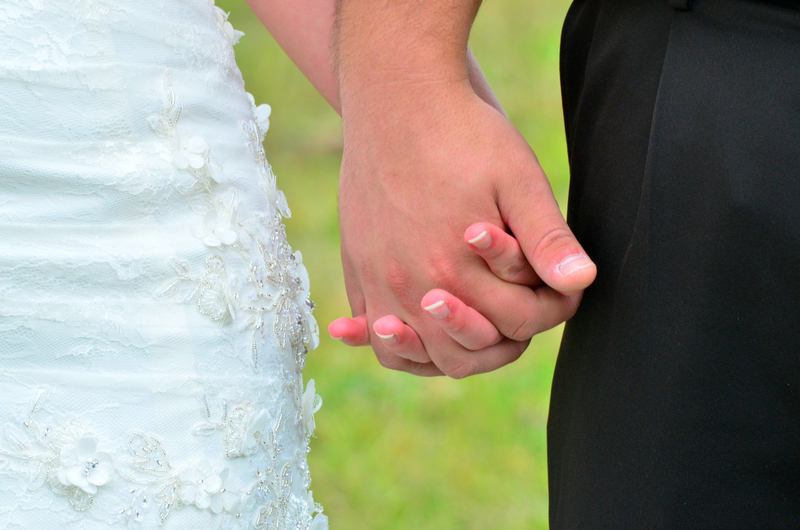 He can handle anything that we may face–we just have to TRUST HIM to handle it. So, now I no longer throw out that cliché. What I do is pray and explain to everyone I know that through God they can handle anything. 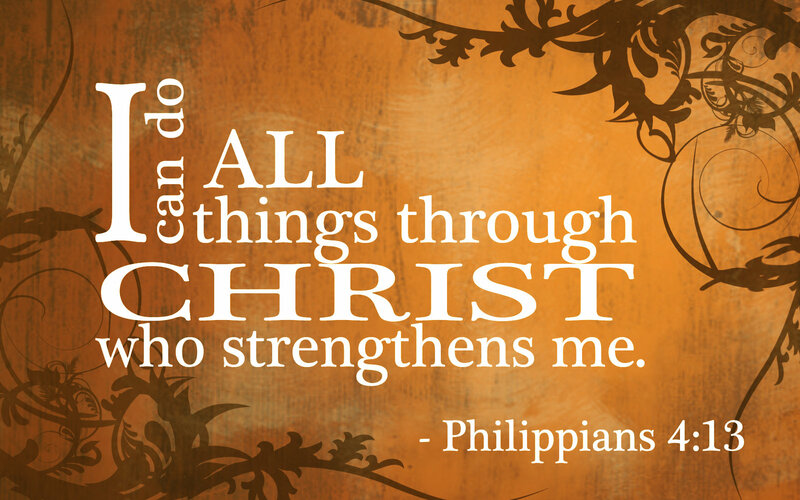 Remember, a verse that IS in the Bible is this “I can do all things through Christ who strengthens me.” Philippians 4:13. That’s what I share with others. Christ is the One who gives you the strength to handle things that are beyond your capabilities. He is the One who provides the strength for you to get up another day and face things that you don’t want to face. So, stop throwing out those old phrases to people and TRUST HIM! He’s got this! I’ve only read the Introduction and already I CAN’T WAIT to read more! It flows right along with My One Word for this year–CHANGE. I will come back and let you know what I thought of it once I read it. Until then, check it out yourself! So, how am I doing with reading the Bible in 100 days? Well, I believe I’m doing pretty well. Now, I have had to catch up a little–life does sometimes throw that “perfectly planned” schedule curve balls. If you are reading along with us, DON’T GIVE UP! A friend of mine in this group suggested a Bible app that she uses that reads to you. Now, I would rather sit down with my Bible and highlight and write (remember–I love pens and stationary), but when I’m in a time crunch or trying to get caught back up, I can turn that on and listen with my Bluetooth Speaker when I’m in the shower, getting ready or driving down the road. It’s a pretty cool thing. Plus, it helps you through all the generational names. So, not my every day go-to, but definitely a great addition to my Bible reading. 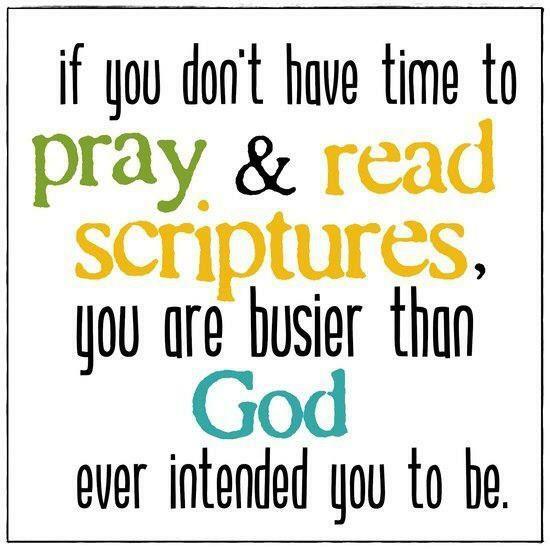 The phrase above says it all to me–If I’m “too busy” to spend time with God, then I’m TOO BUSY! Now, I will tell you that I’m NOT the perfect wife, perfect mother, perfect housekeeper, perfect cook or perfect ANYTHING! I am FLAWED! 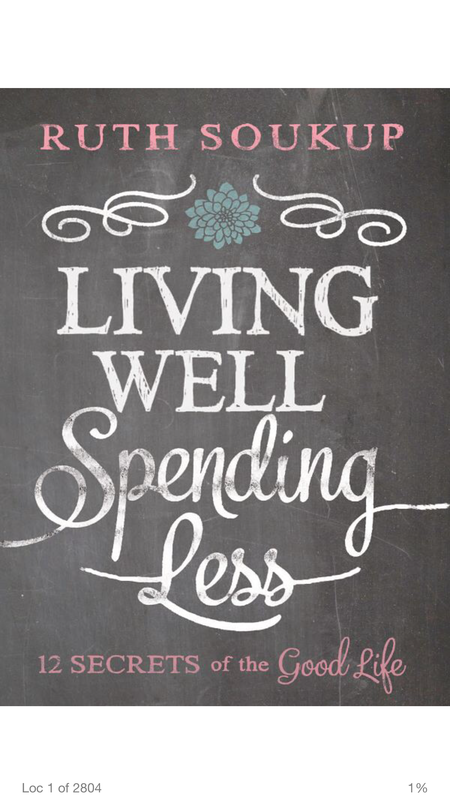 But I want to spend more time with God this year than I’ve ever been able to willing to spend before. My LIFE depends on it and so does yours! You may not see it as something that’s important to you, but I can guarantee you if you would take a week (7 DAYS FOLKS) to pray, read the Word and focus on your blessings in life that you would feel better than you do right this instant! As they say with food…..”Try it! You’ll like it!”. 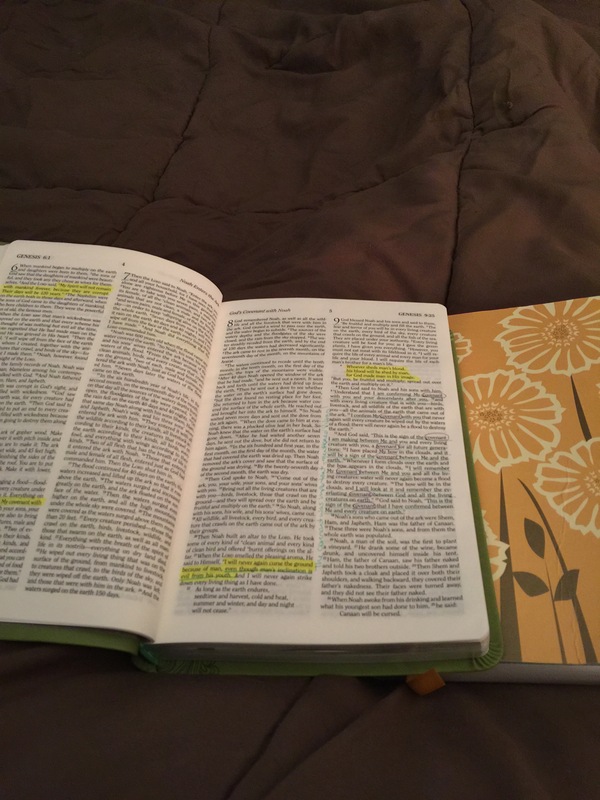 Bible in 100 days–Say What?! 100 days to read through the entire Bible?! Does that sound impossible? Well, it isn’t! My friend Candace started a FB page that has grown to over 500 members!!!! 500+ people who want to hide God’s Word in their hearts–how AMAZING!!!!! Yes, this seems like a huge task. The funny thing is, I haven’t found it as such. I have looked forward to each day to read more of God’s Word. I have seen things that are brand new to me, been reminded of things I already knew and just enjoyed spending time in the Word! One of the first posts said to plan for 45 min a day to do the reading. 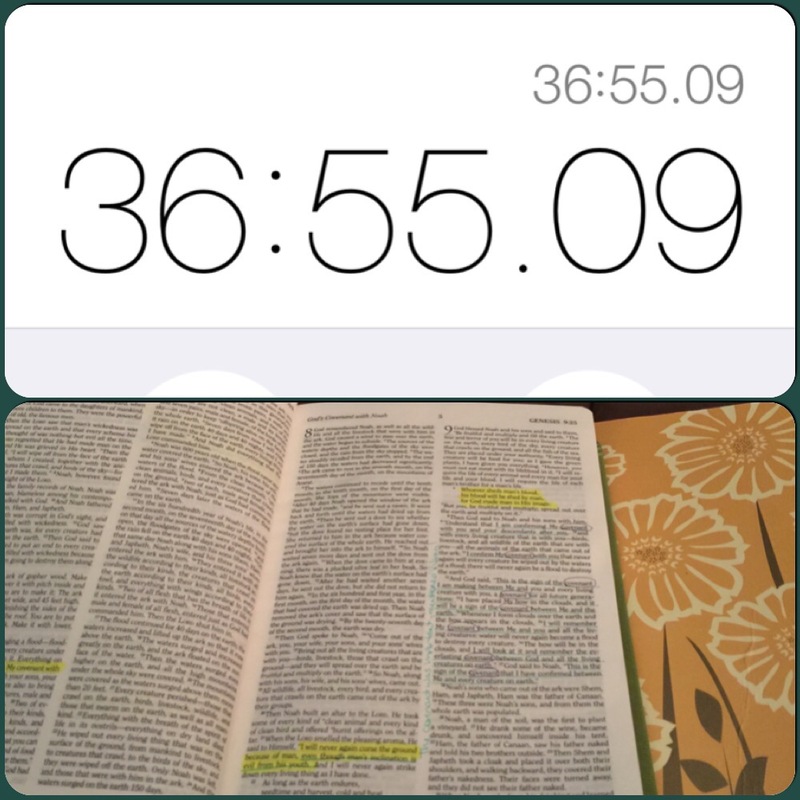 The first day, I timed my reading (including note-taking and highlighting) and it took me 36:55 to finish Genesis 1-14! Basically, I would have spent that scrolling through Facebook or Instagram! I can’t wait to post on things I learn during this process! Would you like to join us? Click HERE to read Candace’s blog about this and how to join. It’s definitely NOT too late! 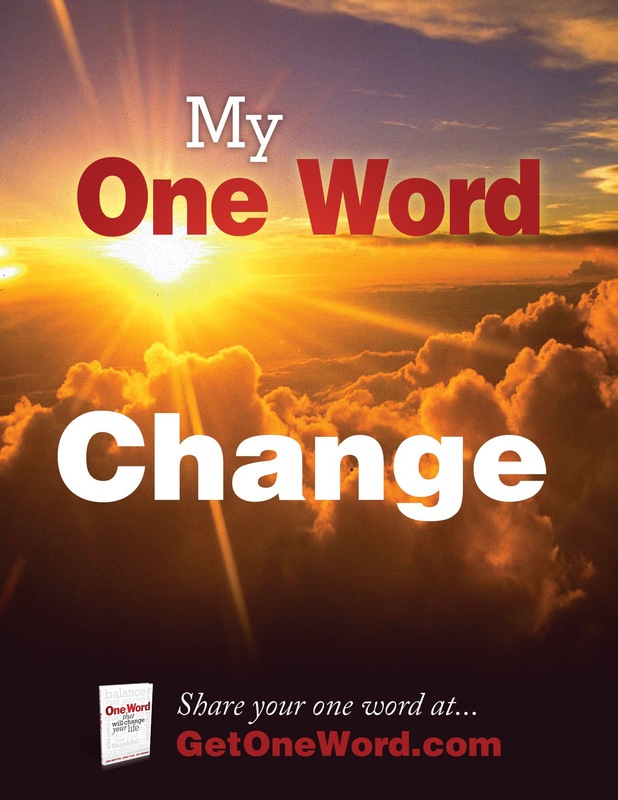 Have you read “My One Word”? If not, click HERE to read a little about the concept. I have actually chosen a word the last 2 years (2013–Focused & 2014–Peace) and I wanted to do it again this year. While reading the devotional in my Bible about it this year, I was contemplating all kinds of words. I wanted to listen to God and see what word He felt I needed this year. My One Word for 2015 is CHANGE. Obviously, you generally pick this word at the beginning of a new year. People are typically very motivated at this time and are hoping to look down their list of “Resolutions” and start checking things off. Of course I, like most of you, have a list of things I would like to do/accomplish in 2015. A set of goals if you will. A lot of my time is spent on accomplishing those goals and then in a few weeks when I get off track beating myself up because I have failed at this or that. Sound familiar? But what I want to do this year is focus more on even the seemingly little changes and celebrate those! That’s what motivates you! 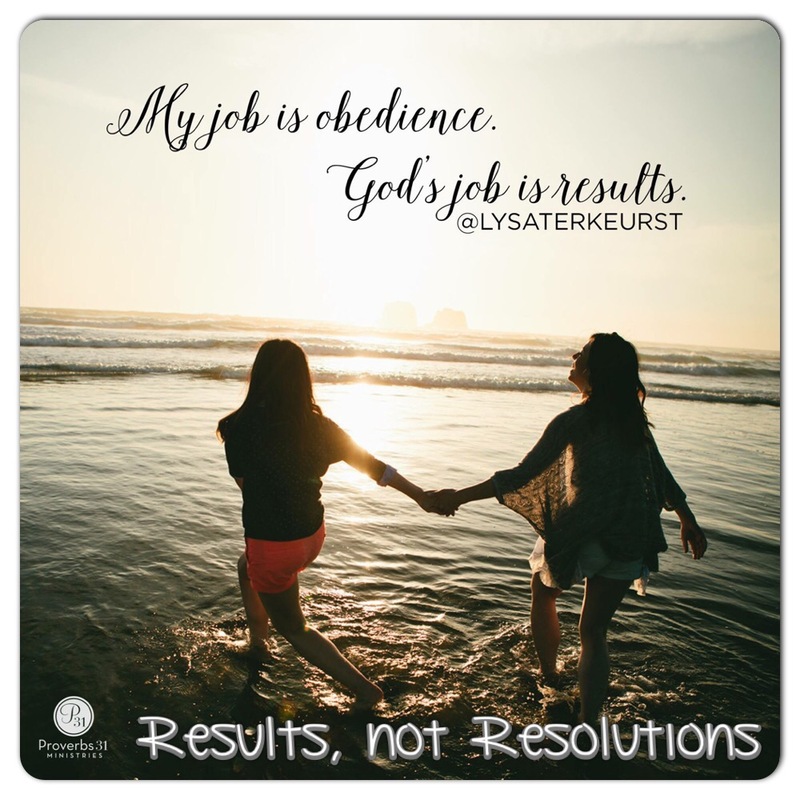 What happens when you start something for a “resolution”–like reading your Bible front to back or starting a new exercise program or using a budget–and then you miss a day here or there and then more frequently until you stop all together? You begin beating yourself up, don’t you? Saying things like “I knew I couldn’t stick with it again.” Or “Why do I even try?”. 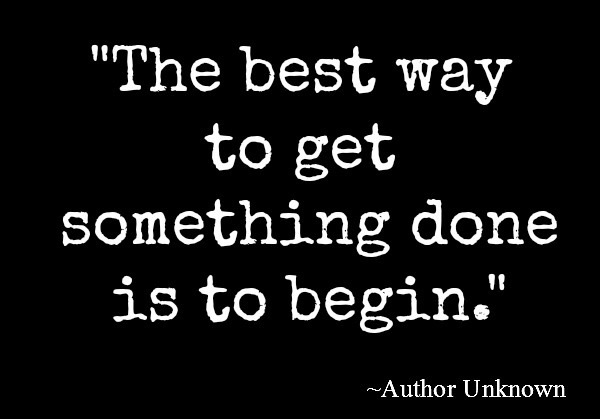 But, the truth is, even if you do something for a short amount of time you have still accomplished more than not even trying! You have still made a CHANGE! So, this year I will be celebrating all the CHANGE in my life–big or small! I still have that little “list” of things I want to do, but I’m more focused on something that changes me than checking off a list. Another year has come and gone and I have fallen behind on my goal to post more on my blog. Hmm–not surprising! BUT, with another year comes another list of things I would like to work on and this is on my “To-Do” list in BIG letters! There are so many things I want to do this year and it seems as if a lot of it starts TOMORROW!!!!! EEEEKKKKKK!!!! So, here goes! Of course I’m on the “bandwagon” about eating healthier, exercising more, losing weight, saving money, getting organized and all the typical things that people want to start again in the New Year. But, I’ve also added some additional things that are important to me to this list! I would like to blog more, read more and read my Bible more–so spending more time in God’s Word is part of that. I am involved in 2 online Reading Through the Bible studies–1 is in a year and 1 is in 90 days! Yes, I said 90 days to read the Bible from front to back! I’m sticking with both because the one that takes a year is different sections of the Bible….every day you read something different, but it refers back to the chapter you read the week before on the same day. We have a private Facebook group for discussion & prayer requests. The other one you can find more information HERE! 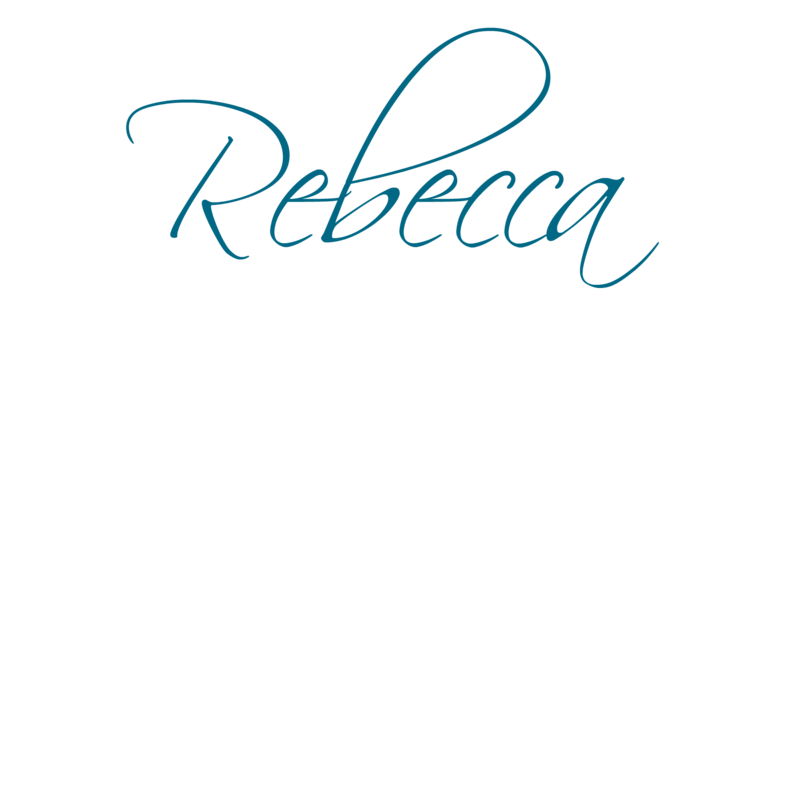 Candace has created a private FB for us to introduce ourselves and also for discussion with each day’s reading. This is gonna be great! I’m also joining something I did a couple of years ago with Beth Moore’s SSMT (Siesta Scripture Memory Team). You choose a verse twice a month (the 1st and 15th) and memorize that verse. By the end of the year you have put 24 verses to memory! I’m also wanting to get more scheduled….I love having a schedule and sometimes I can’t get everything in if I don’t have some guidelines! So, here’s to a brand NEW year! I hope you will have a great one and I can’t wait to hear what you’re goals are for 2015!